Expedia's Kodiak vacation packages can help you save! Bundling your bookings will give you more spending money for your upcoming adventure. With more than 400 partner airlines and 321,000 worldwide properties for you to choose from on our extensive database, you'll be setting off on your next vacation in no time! You can alter your vacation plans with us because we don't charge cancellation fees for almost all of our bookings. Can't wait for your trip to Kodiak? Like some recommendations about what to see when you get there? That's where we can help! Ditch the history journals! Let the past come alive at Alutiiq Museum. There's an excellent range of things to do in this destination. History is overflowing with terrific stories to be told and plenty of lessons to be learned. Check out SS Albert M. Boe and take a step back into the past. Still got time on your hands? Abandon your history books! Witness the past jump off the page at Russian-American Magazin. 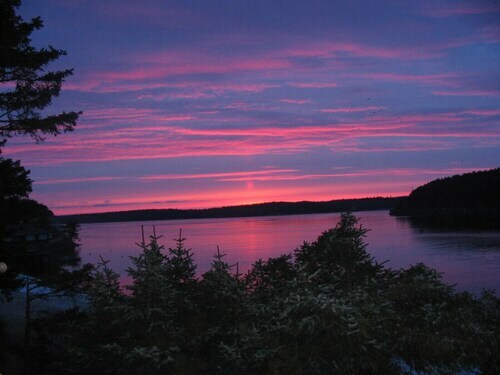 On the lookout for somewhere to stay for your luxury getaway or cheap vacation in Kodiak? It's a good idea to act quickly, as there are only 3 Expedia accommodations available. Some of the properties that may suit your needs on the island are the Best Western Kodiak Inn And Convention Center (236 W Rezanof Dr) and the Cranky Crow Bed and Breakfast (1713 Rezanof Drive). The airport probably isn't going to be the most enjoyable part of your vacation, but there's nothing like the feeling of knowing that your well-deserved trip to Kodiak is not long away! Once the wheels hit the ground at Kodiak Airport (ADQ), you'll be 5 miles (8 km) from the heart of town. Situated in Kodiak, this hotel is within a 10-minute walk of SS Albert M. Boe, Russian-American Magazin, and Alutiiq Museum. Holy Resurrection Russian Orthodox Church and Kodiak Laboratory Aquarium and Touch Tank are also within 1 mi (2 km). 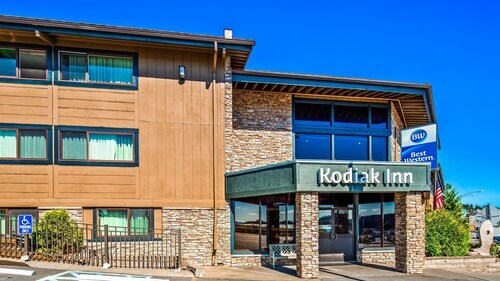 Located in the heart of Kodiak, this hotel is 0.9 mi (1.4 km) from Kodiak National Wildlife Refuge and within 6 mi (10 km) of SS Albert M. Boe and Russian-American Magazin. Alutiiq Museum and Holy Resurrection Russian Orthodox Church are also within 6 mi (10 km). 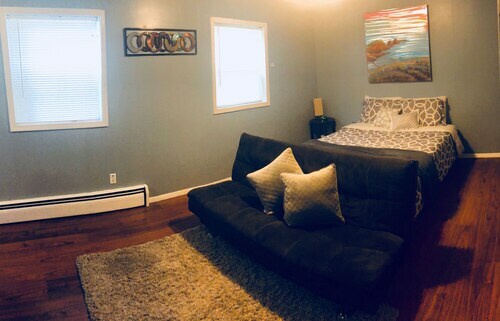 Situated in the business district, this bed & breakfast is within 1 mi (2 km) of Holy Resurrection Russian Orthodox Church, Russian-American Magazin, and Alutiiq Museum. SS Albert M. Boe and Kodiak Laboratory Aquarium and Touch Tank are also within 2 mi (3 km). 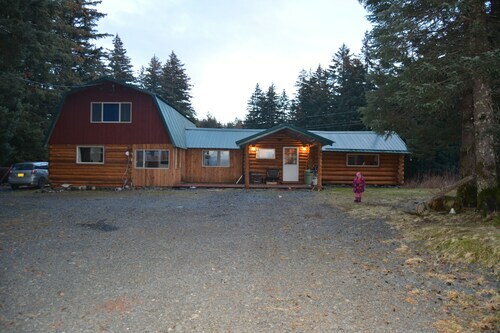 Situated near the beach, this bed & breakfast is 30.4 mi (49 km) from Kodiak National Wildlife Refuge. Book For The Value, Stay For The View! 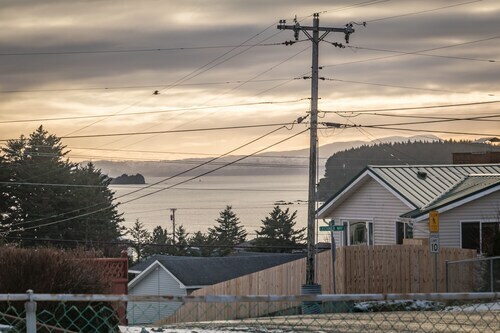 Situated in Kodiak, this apartment building is within 1 mi (2 km) of Holy Resurrection Russian Orthodox Church, Russian-American Magazin, and Alutiiq Museum. Kodiak Laboratory Aquarium and Touch Tank and SS Albert M. Boe are also within 1 mi (2 km). 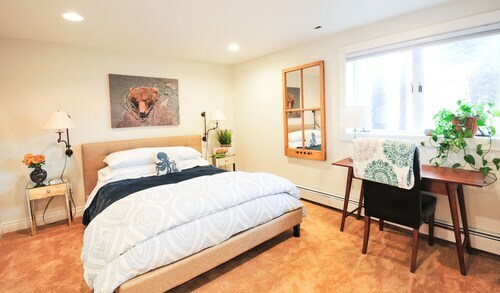 Situated in Kodiak, this historic vacation home is within a 5-minute walk of Russian-American Magazin and Alutiiq Museum. Holy Resurrection Russian Orthodox Church and SS Albert M. Boe are also within 10 minutes. Situated by the ocean, this historic property is within a 15-minute walk of Holy Resurrection Russian Orthodox Church, Russian-American Magazin, and Alutiiq Museum. SS Albert M. Boe and Kodiak Laboratory Aquarium and Touch Tank are also within 2 mi (3 km). Situated by the ocean, this vacation home is within 1 mi (2 km) of Holy Resurrection Russian Orthodox Church, Russian-American Magazin, and Alutiiq Museum. SS Albert M. Boe and Kodiak Laboratory Aquarium and Touch Tank are also within 1 mi (2 km).